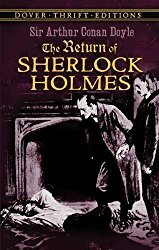 Some have thought there was a falling off in the stories, and the criticism was neatly expressed by a Cornish boatman who said to me, "I think, sir, when Holmes fell over that cliff, he may not have killed himself, but all the same he was never quite the same man afterwards." I used to have a pet theory about this. I imagined that Doyle was excited by the stories when they were new to him and still a novelty. I surmised that he grew tired of them and decided to kill off his famous detective. 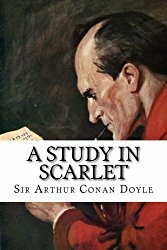 After all, in a letter to his mother, Doyle wrote, "I think of slaying Holmes...and winding him up for good and all. He takes my mind from better things" (1891). This indication seemed to support my supposition. However, my pet theory was apparently not entirely accurate. 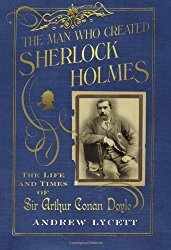 Andrew Lycett points out that Doyle was not very interested in continuing the stories even when he first conceived the idea for them (The Man Who Created Sherlock Holmes: The Life and Times of Sir Arthur Conan Doyle). If this is true, then what accounts for the perceived higher quality of the earlier stories? As I pored through them, I realized that the plots in the later stories are every bit as good as those in the earlier stories. 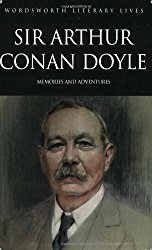 Some stories of the period stand out as exceptional: "The Adventure of Charles Augustus Milverton," "The Dying Detective," and even the very last story, "The Retired Colourman." 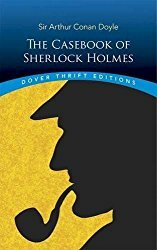 Of the four novels and fifty-six short stories, most were written in first person as Dr. John H. Watson penned them. 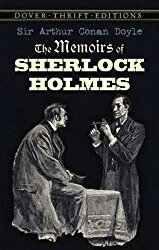 Two of the later stories -- "The Blanched Soldier" and "The Lion's Mane" -- were written as by Holmes's own hand. Many Sherlockians agree that these don't stand up as well as those attributed to Dr. Watson. Two stories (both written and published during the later period) were written in third person. 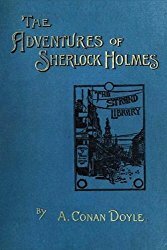 While good stories with sound plots, "His Last Bow" and "The Mazarin Stone" seem to lack the luster of the Watsonian accounts. Some people criticize "The Creeping Man" as unscientific and with a plot concept that lacks credibility. The story idea, however, can be defended easily . Doyle was an avid reader of newspapers, and the concept was newsworthy at the time and even somewhat plausible since science was just beginning to explore the new realm and had not denounced it. The search for a connection between humans and apes (e.g., the "missing link") and the concept of taking an elixir that could restore one's youth were popular at the time. Indeed, even today the concept appears in occasional stories or movies. The concept didn't die out overnight. It was still popular when Dorothy L. Sayers portrayed doctors discussing monkey glands as a possible source of rejuvenation in The Unpleasantness at the Bellona Club. Professor Daniel Robinson has explained that early exploration of astrology led to the scientific study of astronomy and that research in phrenology eventually developed into the more scientific study of psychology. So scientists of the time were fully engaged in exploring these concepts (later abandoned as unscientific) and the public was aware of it because of newspaper accounts. Even though science may have later discounted the earlier forms, these constituted important research at the time and were stepping-stones to the more fully developed scientific points of view. 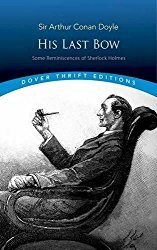 Over time, I've come to realize that the often-overlooked difference between the earlier and later Holmes stories is the human factor. Who can read the earlier stories, such as "The Crooked Man" or "The Yellow Face," without a pang of emotion? This can be attributed to Doyle's masterful touch of imbuing people with qualities that make them fully human and believable, and that arouse our sympathy. And so I say again, many of the later stories contained plots which were every bit as fresh and strong as those used in the earlier stories. "The Illustrious Client" and the aforementioned "Retired Colourman" elicit an emotional reaction as strong as those raised in "The Crooked Man" and "The Yellow Face." Doyle himself said in almost the same breath as that in which he quoted the Cornish boatman, "If I have been able to sustain this character for a long time, and if the public find, as they will find, that the last story is as good as the first, it is entirely due to the fact that I never, or hardly ever, forced a story." Note: This is the third article of 3 parts. See	Part 1: "For a Moment I Thought You Had Done Something Clever" and Part 2: "The Adventure of the Speckled Band" and "The Adventure of the Copper Beeches."